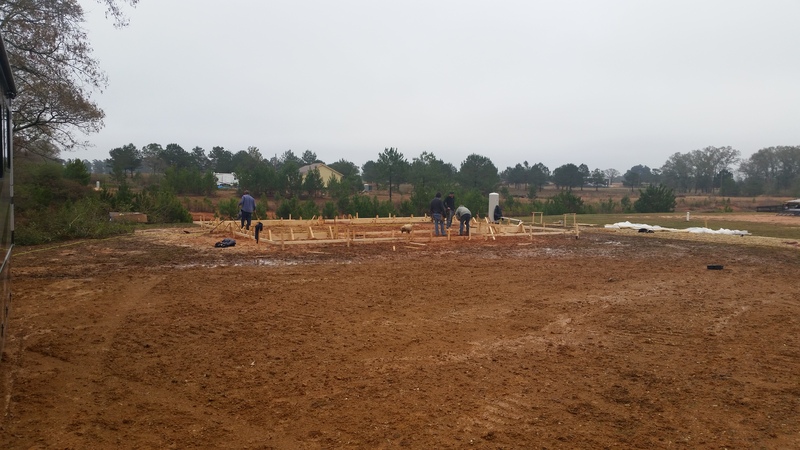 12.16.14 Staking and digging and forming! So much has happened that we’ve been too busy for me to write regularly. 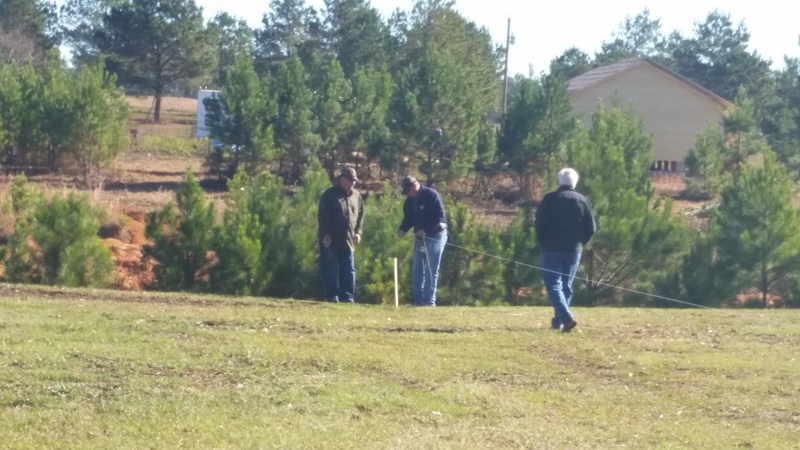 Early last week we met Todd and Ronnie at our property where they staked out the location of the house and our RV pad. It was neat to see how everything will lay out on what is now just empty land. We plan to park Dora about 20 feet off the fence line so we can create a pretty patio area there for our flowers and chairs. The side where our awning is will be facing away from the house and will give us privacy. 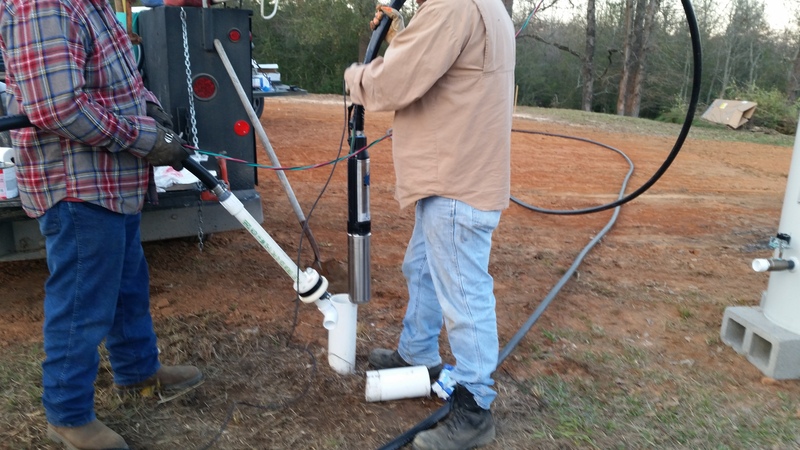 It rained enough in Amite on Monday night that our dirt man Todd couldn’t get dirt from the pitt (wherever that is)! Todd suggested that we not cut down the back part of our property until the spring time because the grass roots there now are holding the dirt in place. Cutting off the grass will expose the dirt to the winter rains and would erode before spring. We agreed, though I am looking forward to when that can be done since it will take off some of the hill we need to climb from the pond to the house. Aging folks don’t climb hills real well, as I’ve learned this past week from hauling limbs that Roy cut down, up the hill to the burn pile multiple times! Running the string from front to back of the property. 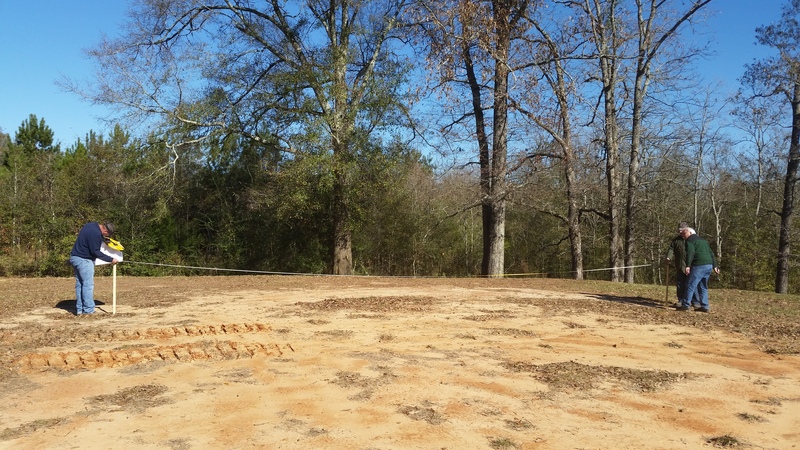 Stakes showing where the RV pad will be located. Very uneven now but not when Todd’s finished with it! Staking out where the house will be located! On Wednesday Roy went to Amite to meet Ronnie and Todd the dirt man. He wanted me involved in some of the decisions that needed to be made so he went back to Robert, picked me up and we headed back to Amite. 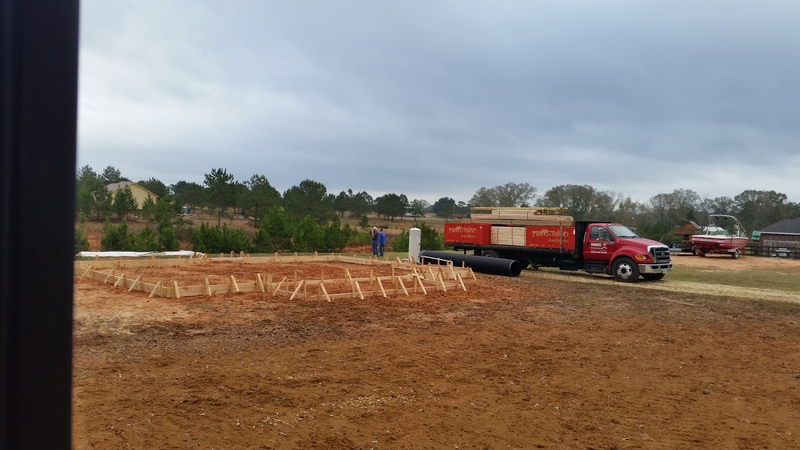 We spent the whole afternoon and early evening there while the well man, Lloyd Stilley, installed the well pump and cover. We also met with three parish employees (health department for sewage, roads and bridges for a ditch) and the AT&T man. 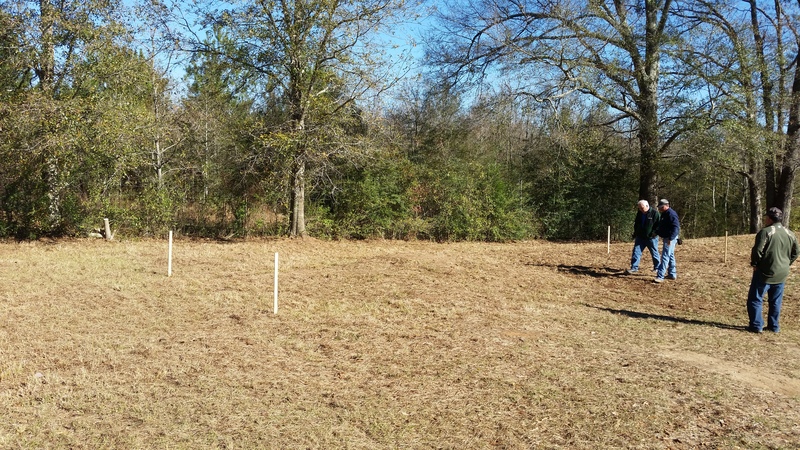 Because of the way the land is laid out it’s taking some figuring out how to run the line for the septic tank and whether or not we need ditches and if so where. Looks like we will have the added expense of purchasing a lift station to carry our precious cargo (poop) to the tank. The joys of country living! We had nowhere to stay inside, so we sat outside the whole time. Good thing the weather was great! With the well successfully 99 percent completed, we left Amite and went to Chip’s house to pick up mail and eat dinner, as well as having fun time with all the children and Kim and Chip. We left having totally recharged our grandparent selves with lots of love and fun! Can’t wait for our family Christmas get together Friday night at Chip’s house! After three more stops we were home with Yogi Bear at Jellystone Park. 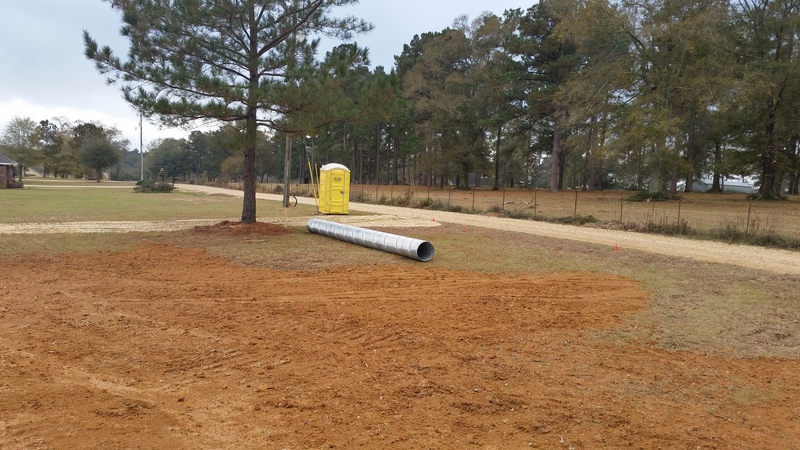 Knowing that the parish folks (one department or the others) and the mechanical treatment company will be coming back Thursday or Friday and hopefully the forms will go down Saturday we decided to move back to Amite and tackle boon docking again. This time a little better prepared. I have lots of disposable things that don’t need to be washed: bottled water, aluminum trays for cooking, Styrofoam cups with lids for coffee, plastic forks, plastic cups and paper bowls and plates. I also put together three spray bottles of water for cleaning counters, and three jugs of water for making coffee and for back up if we run out. I am hopeful that doing these things will make more water available for bathing! Roy placed the order for the Onan Generator Auto Start Control thingy. 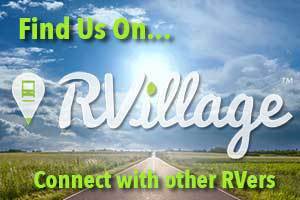 It arrived yesterday and I am hoping that he will write a blog post soon about that since I think it would help other RVers to know more about that. We moved back to Amite on Thursday and our RV, Dora, is now parked in what will be her home in Louisiana any time we come back to visit. It is suppose to rain this evening and all day tomorrow so we got here now to avoid driving in the rain. We’d also like to see how the land handles the rain before the final dirt grading is done. One of the parish employees is a wonderful man by the name of George Peltier. He happens to be the brother of an attorney, Gary Peltier, we used in Hammond to do several pieces of legal work for us. George looks just like his brother Gary and is every bit as nice. I feel like he’s gone out of his way to help us. I hugged him today to let him know how much we appreciate this personal service he’s given us. He pulled up here right after we arrived at the property. John Pevey with ABC Well and Septic met him here. 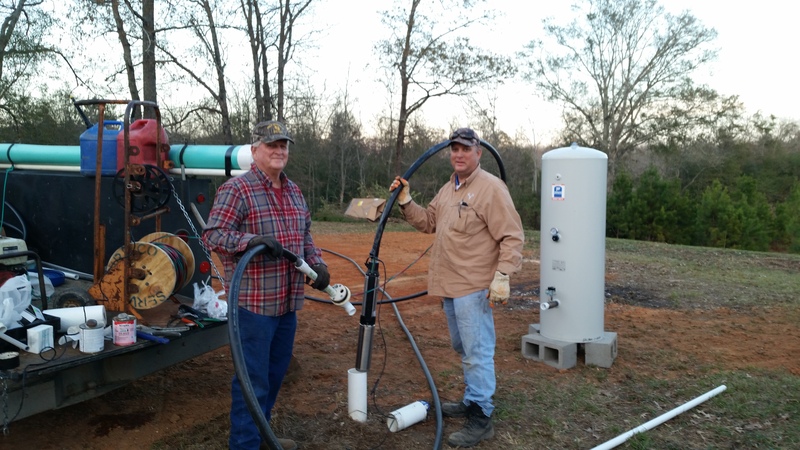 They met with Roy and I and decided the best location for the mechanical treatment tank to avoid a lot of problems that other locations would cause. Seems we have an unusually sloped lot in several ways but finally those great minds came up with the right place. Never knew it could take so much and so many people to decided on something. If it all works correctly then we’ll be really glad they spent the time figuring it out. Roy cut down more trees with the small chainsaw we bought at Lowe’s. Again something we had and sold all of them to go on the road. We may need to have a mini garage sale when we get ready to get back on the road to sell all the stuff we’re acquiring! 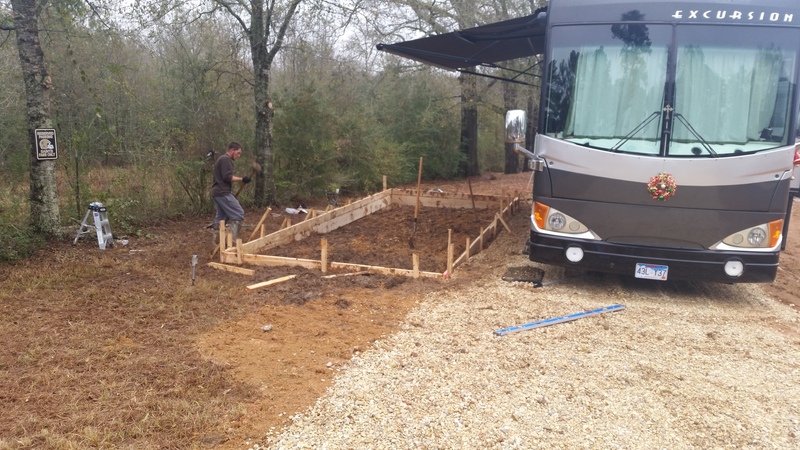 Saturday morning the slab forming guys came and built the forms for the house and for the patio outside our RV. Monday we went back to Hammond and picked out our light fixtures, bathroom things, kitchen faucet, appliances, vinyl siding, columns and railing for the front porch. Nice to have that behind us. Still have a few more things to pick out, doors, windows, roof shingles and some other minor things. 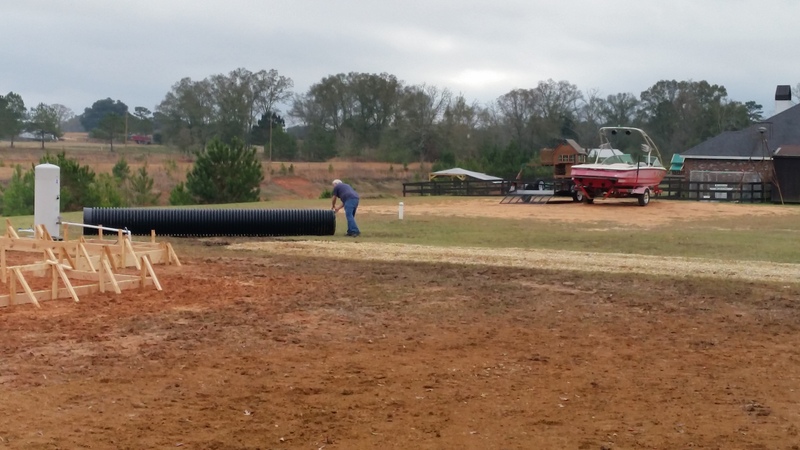 We ordered three culverts, one for the front and two for the rear where the water drains into the pond. They were all delivered on Monday and sticker shock was definitely happening today when I found out how much those simple tubes cost. I’ll share our family Christmas, our visit to One Night in Bethlehem and Madisyn’s Christmas play at River Rock Church in Loranger in our next post. Ya’ll come back now, ya’ hear. 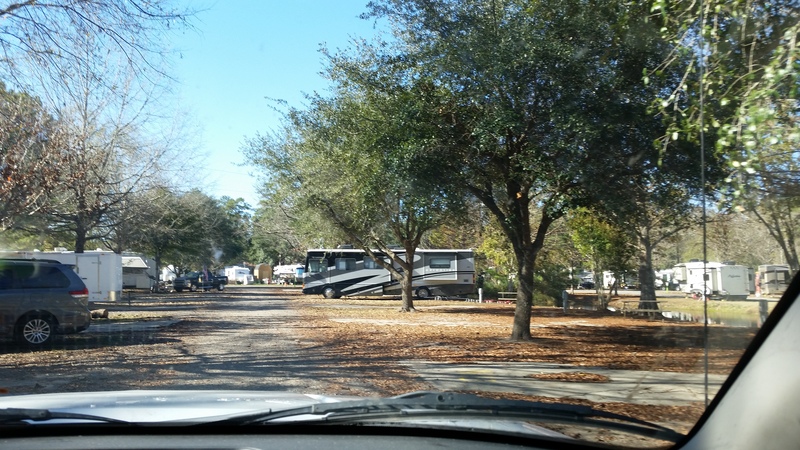 < 12.15.14 Boondocking, TBC Christmas Cantata, Ponchatoula Christmas Parade and Soldier Chip!